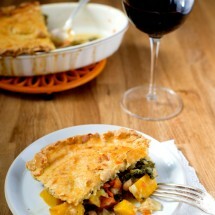 I need a break from the mashed potato and gravy holiday dishes with something fresh – like this. 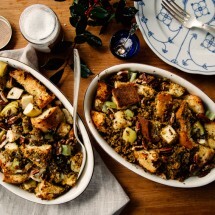 With all the tempeh recipes I post I should probably change the name of my blog to ‘Tempeh Feast’. 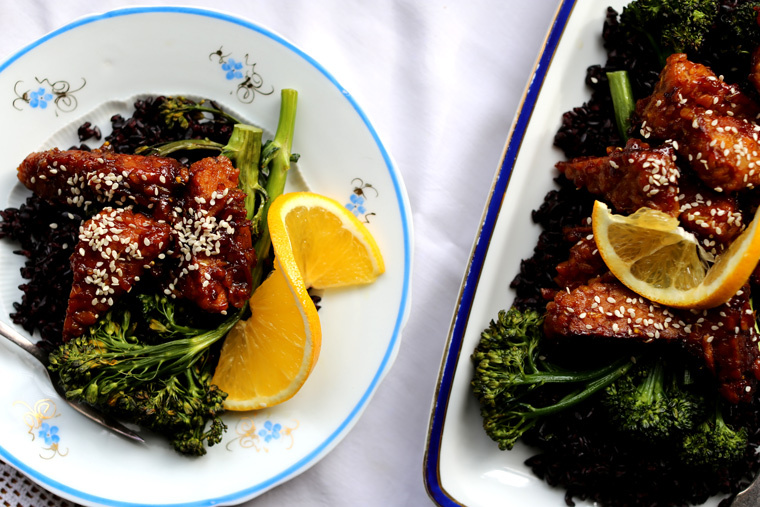 I hope there aren’t any tempeh haters out there and if you’re among the hesitant – try this dish! I’m pretty sure you’re gonna love it. 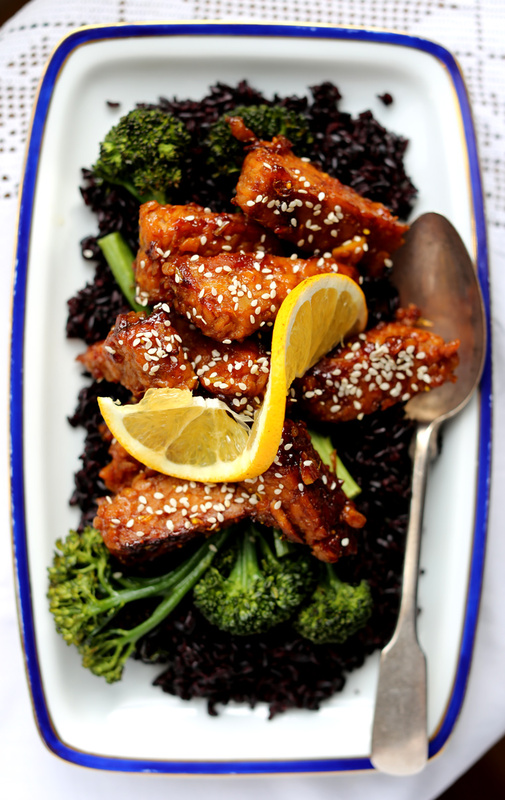 The tempeh is smothered and covered in a sweet and sticky orange glaze. It’s steamed in orange juice so it’s nice and tender. Garlic and ginger spice things up and the Seville orange marmalade has that sophisticated bitterness going on. Oh and those irresistible little orange rinds. Yes please. 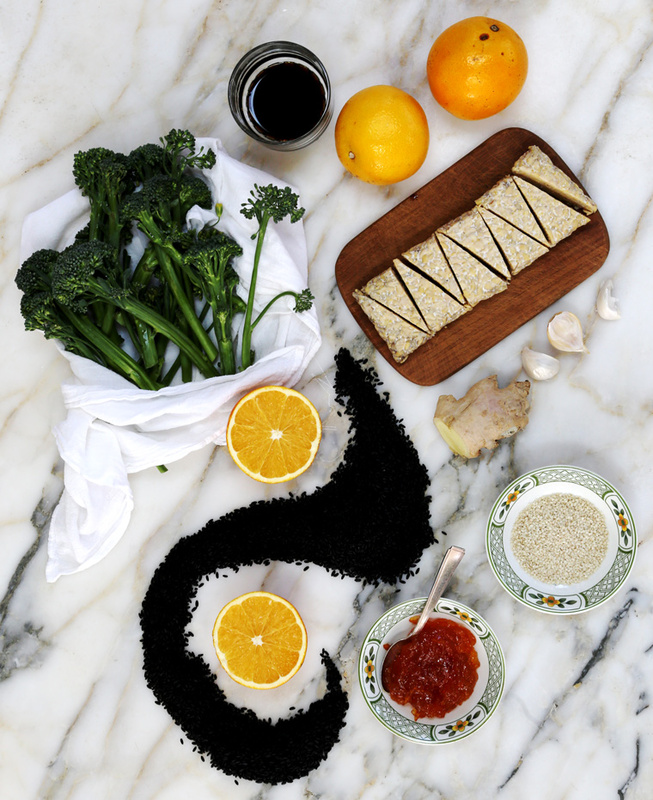 So black rice is my new favorite rice, it’s full of antioxidants, subtly sweet and has the perfect texture. 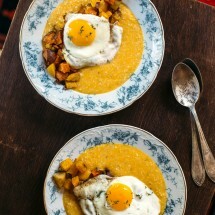 It pairs wonderfully with these bright orange flavors. 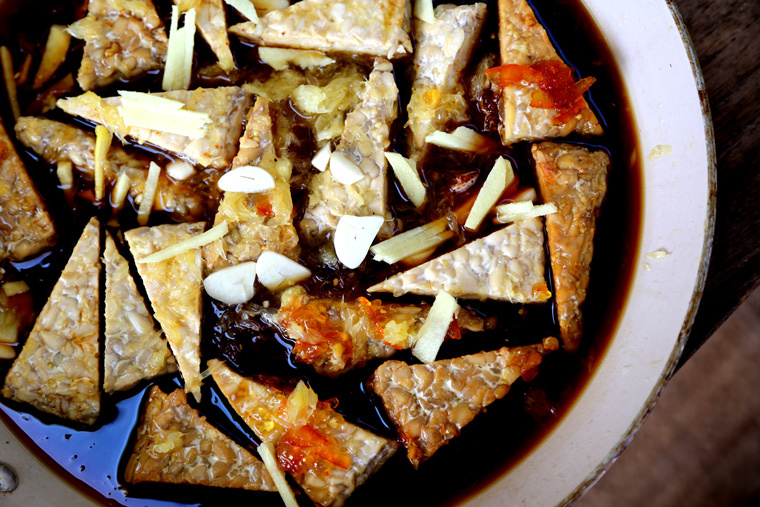 Simmer orange juice, soy sauce, garlic, ginger, marmalade and tempeh covered for 5 minutes. Then remove lid and let liquid evaporate. Cook the rice and roast the broccoli. 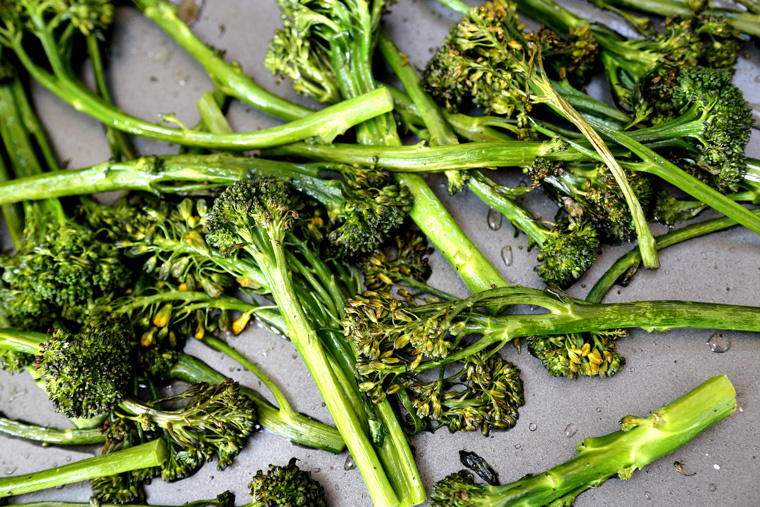 Toss broccoli with salt and pepper and a dash of high heat oil before roasting. After all the liquid is absorbed add a little high heat oil to the pan to lightly brown and crisp up the edges. Cook rice per package directions. Wash and chop broccoli. I prefer baby broccoli or broccolini. Toss broccoli with salt and pepper and a dash of high heat oil. Broil on low for 5 to 8 minutes – carful not to burn the tender leaves. In a pan with a lid, steam tempeh with orange juice, soy sauce, ginger, garlic and marmalade for 5 minutes on medium high heat with lid covered. Remove lid, turn down heat and let liquid evaporate and caramelize. After most of the liquid is absorbed and only a sticky sauce remains, add a little high heat oil to lightly brown and crisp up the edges. 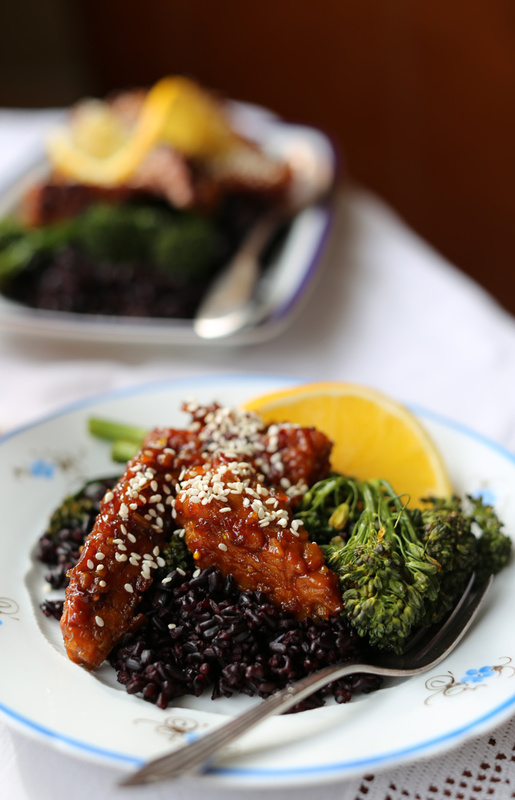 Serve tempeh over rice and broccoli. Add a slice of orange on the side and sesame seeds for garnish. I mixed a teaspoon of turmeric in with the simmering tempeh for an enhanced orange color – totally optional but tasty and pretty! 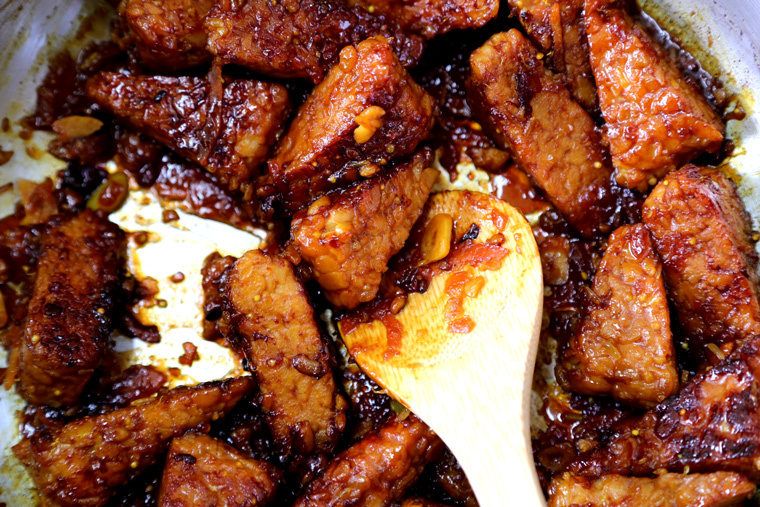 You can soak the tempeh in the marinade over night if you wish. 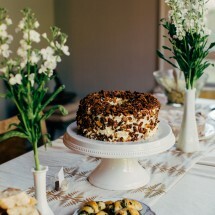 I have never eaten tempeh, I would love to try it but I am always too nervous! 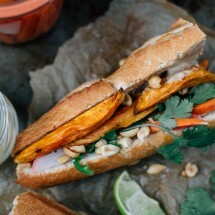 This looks delicious though, I may have to give it a try! Gulp! Smokey maple bacon tempeh sounds delicious! Hi Kelly, thanks for your comment! 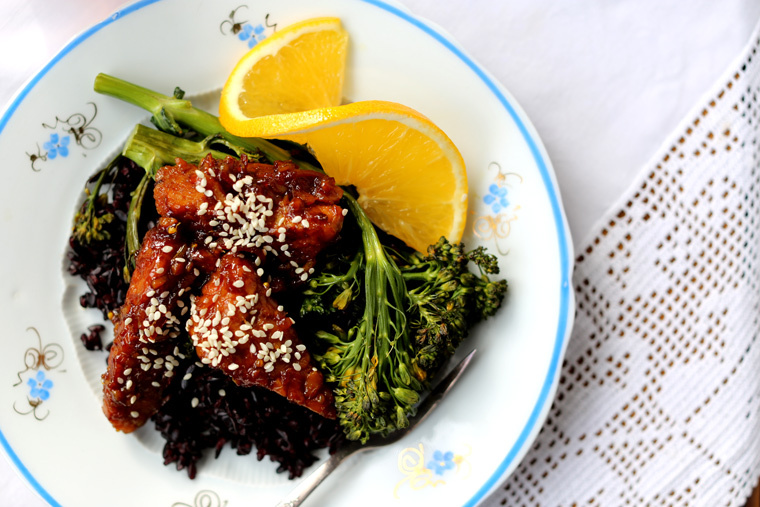 I was pretty hesitant to try tempeh too – it just so looks weird in that package! Steaming it like KLG said is definitely the way to go. 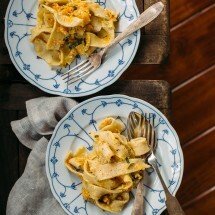 For this recipe the tempeh is steamed in orange juice so it’s tender and sweet and not bitter at all. Let me know if you try it! Yes, Grace, yes! This looks so yummy! I can’t wait to try it! Love this! Even better the next day for lunch.